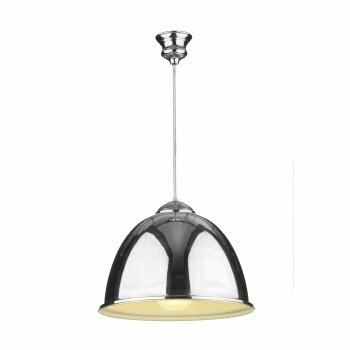 David Hunt Lighting Euston single light ceiling pendant features a ceiling cup and clear cable, holding a polished chrome, dome shaped, metal shade with a white interior. The product code for this David Hunt ceiling pendant is EUS0150. This British made design will sit well in both modern or traditional styled decors and will add a chic look to any room within your home. The Euston collection is also available arctic white, cream gloss, olive green, french cream, white with blue or orange inner and polished chrome with a black cable, all can be viewed on our website.